As the days grow shorter and cooler and the busy, active energy of summer fades, autumn brings a shift to a more introspective season. The changes that occur invite us to integrate everything we’ve created through the summer more fully into our lives by finding more of a balance between activity and rest. Travel in this transitional time can feel ungrounding, as our bodies and minds crave more solitude, peace, and rest as we prepare for winter. Taking your healthy practices on the road and being mindful of how you’re spending your energy is especially important now, and will help create balance in all areas of your life, inviting in peace and clarity. Meditation, gentle yoga, and walking can all help support us in turning inward. Another self-care practice that is quickly gaining popularity in its ability to balance energy, decrease stress and improve the capacity of your body restore itself is floating. 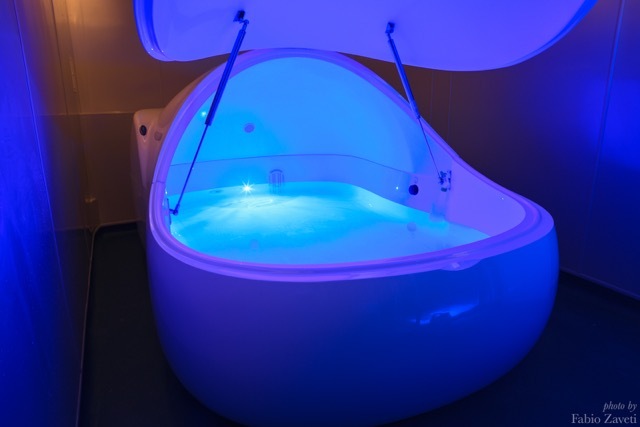 Floatation therapy, or ‘floating‘ as it’s referred to colloquially, is a type of sensory deprivation can be done either in sensory deprivation tanks or in open pools of water. In both cases, large amounts (think pounds and pounds- to about a 35% concentration) of Epsom salts (magnesium sulphate) are added to the water to allow the body to float weightlessly. 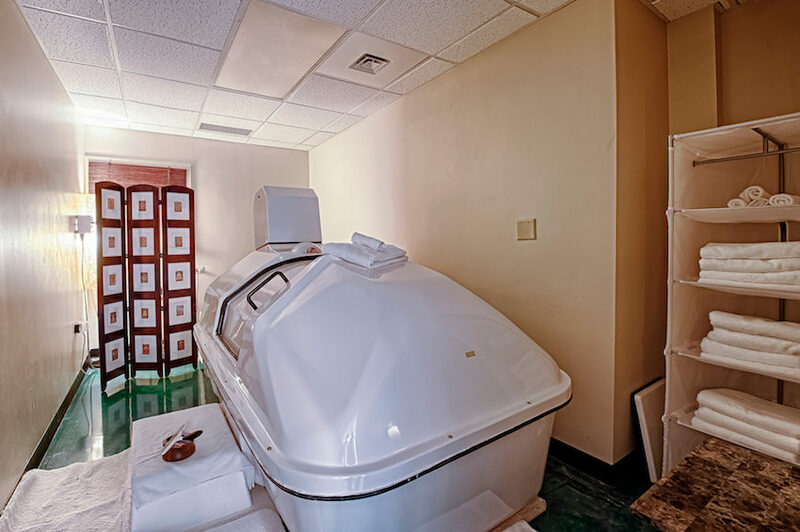 The salty mixture is warmed to body temperature and the experience is completed-if you’re in a sensory deprivation tank-by shutting the lid and resting in darkness. The experience is quite unique and is intended to reduce sensory input as much as possible to let the parasympathetic nervous system kick in – the part of the autonomous nervous system that is responsible for our ‘rest and digest’ functions. With less gravitational pull on our bones, muscles, and organs, blood flows through the body more freely to promote relaxation and healing. The magnesium and sulphate in the salts are also readily absorbed through the skin to decrease inflammation, improve nerve and muscle function, and increase absorption of nutrients. With the senses suspended, awareness of the present moment is also heightened, including the workings of the mind. Over time, and aided by conscious breathing, thoughts begin to slow down and increased creativity, improved sleeping patterns, and a sense of tranquility can be carried back into your daily life. Floatation therapy spas have been popping up around the world, and are easy to fit into your schedule. Just an hour of floating can bring noticeable changes to your health- making this an excellent option for finding a few moments of self-care and introspection when you’re travelling. Here are eight suggestions from around the globe. Melbourne is an exceptionally green and walkable world city boasting an excellent café scene. Exploring its famed alleyways on foot is a great way to incorporate some movement into your day. Once you’ve had your fill of walking and sampling flat whites, take a break and visit the aptly named Resthouse, just south of the hip beach community of St. Kilda, for a float in their state of the art pods. If you’re visiting Bogota and experiencing altitude sickness, a float can help you feel more balanced and restore your body and mind. 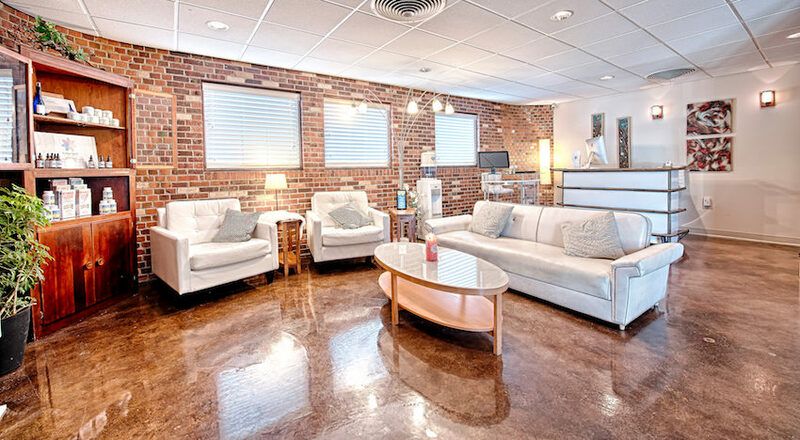 The Centre offers relaxation massages as well, near a popular city park that stretches across nearly ten blocks through the northern part of the city. Ko Samui is known for its full moon festival and popularity as a party destination, but there is another side to this idyllic island in Thailand that offers much more laid back and healthy options including yoga centres and resorts with health-conscious food and retreats. Thaisolate Float Centre, based in Bophut, is the first float centre in Thailand and the perfect way to round out a relaxing day on the beach. With a full spa offering massage, acupuncture, and sauna in addition to floatation therapy, A New Spirit is a destination in itself. Spend an afternoon here unwinding when you’re craving some downtime after exploring the Rocky Mountains. The hustle and bustle of Kuala Lumpur combined with the heat can feel overwhelming at times. After exploring the modern capital of Malaysia, a float at New Life Float Centre can bring back a sense of grounding and peace to your visit. After taking in the food trucks and hiking in Oregon, head to Float On for your body and mind. They are open 24 hours a day so you can float when you like (an endurance athlete once floated here for nearly that entire time!). They also offer unique programs to spark your creativity-dance, cooking, writing, and art among others-and offer subsidized floats, internships, and bartering options to allow everyone to experience the benefits of floating. If the hurried vibe and the tourist circuit in London have you craving a sense of lightness, make your way to the quiet courtyard at St. George Wharf to visit Floatworks. With an online booking system, they make it easy to schedule your float. Their website also features articles about floating and its benefits to help you prepare for your visit. Created by two young entrepreneurs passionate about bringing the benefits of floating to their hometown, the generous space has five tanks and also includes a yoga studio where they host classes and occasional events. Chantal Houde is a yoga teacher, communications freelancer and reiki practitioner in Ottawa, Canada. She is currently completing her yoga therapy training and is passionate about nature, wellness, travel, and healthy food. 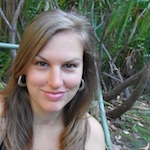 Learn more about Chantal and follow her wanderings on her wellness travel blog, Travel With Celery.